This Homer Laughlin 1420-0331 Westminster 7.5 oz. 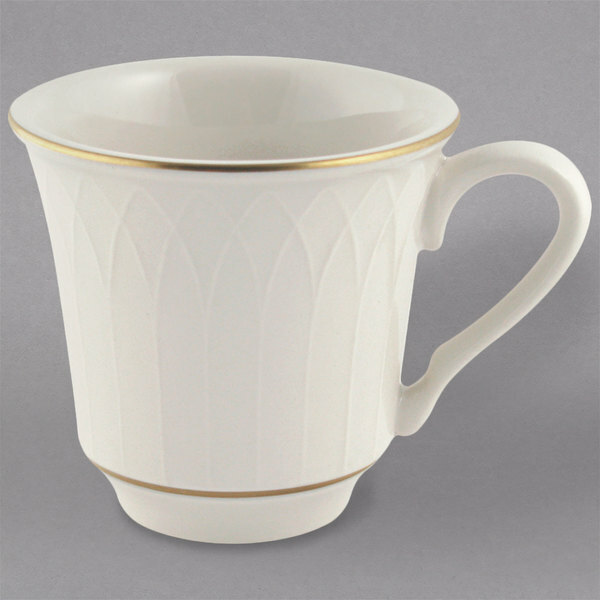 off white cup is perfect for serving tea, coffee, cappuccino, or hot chocolate at your restaurant, hotel, or catered events, combining signature Gothic lattice sculpting with gold embellishments. 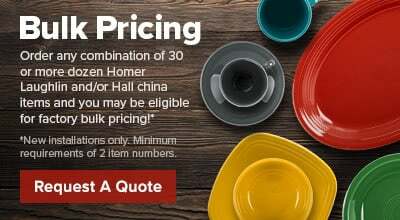 Its intricate lattice sculpting features a pointed-arch pattern from the top of its rim to its base, while fine stripes of gold trace both the top rim as well as the base of the cup to create a royal touch.